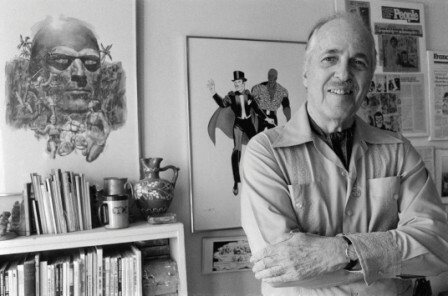 Lee Falk’s Phantom of Happy Memory — And Fellini and Falk’s Mandrake! 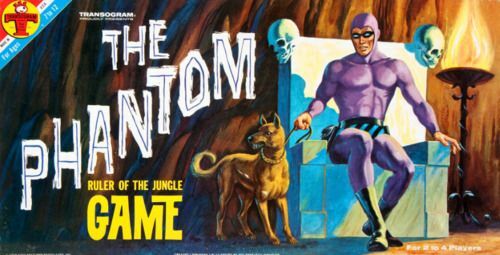 By James H. Burns: Recently, The Phantom, the great comic strip character created by Lee Falk in 1936, celebrated his 80th anniversary. The Phantom began his quest for justice against PIRATES, hundreds of years ago, and to the denizens of his world, he seems eternal. Almost always overlooked, is that he was also the world’s first super hero, before Superman and Batman, (and appearing less than five years after the Shadow, in the pulp magazines), or at least the comic world’s initial masked and costumed adventurer! 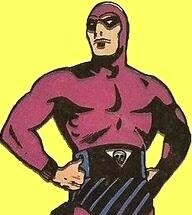 The Phantom was part of that great newspaper comics pantheon of heroes that included Flash Gordon, Terry (and the Pirates), Mandrake the Magician (also created by Falk, about an expert illusionist who investigates mysteries and intrigues–one of the many forerunners of Marvel’s Dr. Strange!) and the comic strip adventures of Edgar Rice Burroughs’ Tarzan. In the 1930s, when these series debuted, it was before the advent of television, of course, and the vast number of Americans–and others around the world–turned to their daily papers for a serialized jolt of action and adventure , and of course, also comedy, with a wide array of humor series. Falk, like almost all of the creators of the major comic book heroes, was Jewish. A native of St. Louis, Missouri, born in 1911, Falk was only in his early twenties when he created Mandrake (whose debut preceded the Phantom’s premiere, by less than two years)! (Many artists, over the decades, collaborated with Falk on the comic strips for which, reportedly, he also drew the first installments.) 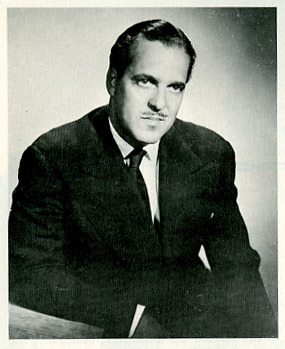 Ultimately, Falk became a devoted world traveller, as well as a theatrical director and producer. 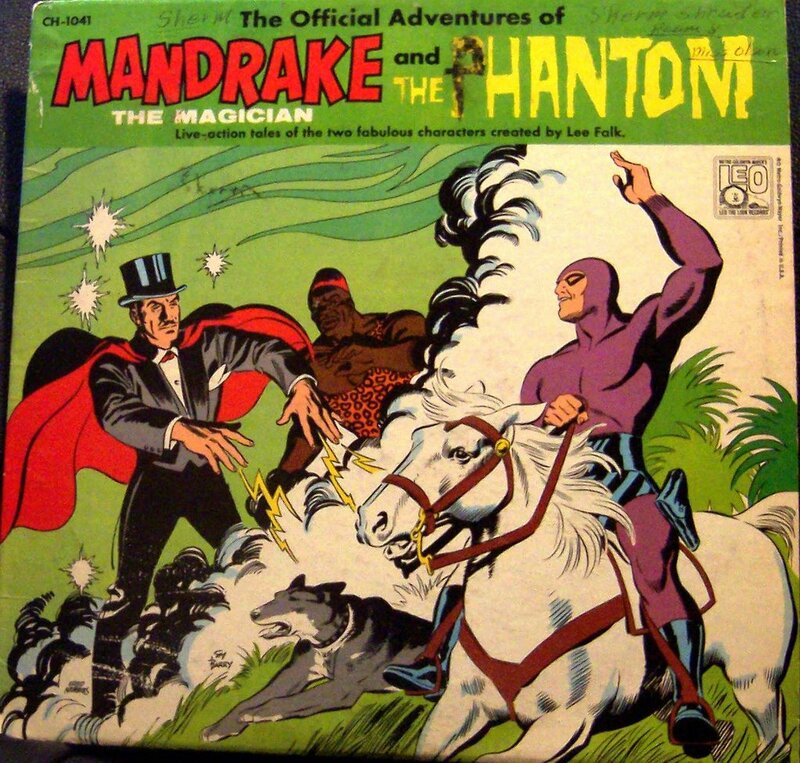 (The Phantom and Mandrake had over one hundred million readers across the planet, and were adapted into almost all forms of other media. 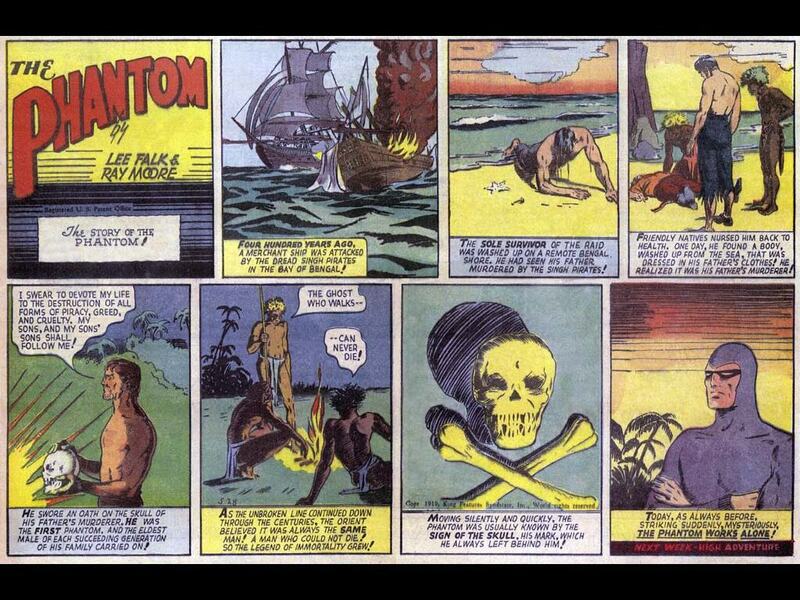 (The Phantom retains a particularly devoted following, in Australia.) Falk’s last years were spent in Manhattan, and Cape Cod, before he passed, in 1999. 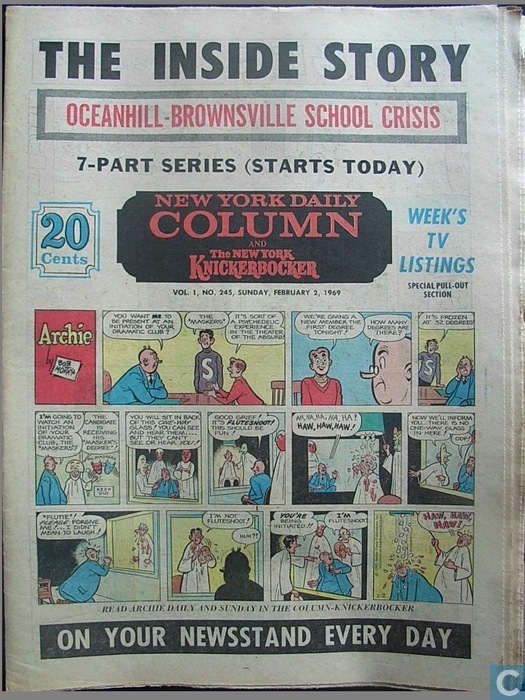 I was lucky enough to actually grow up with the vast majority of classic comic strip characters, thanks to a newspaper that has long been forgotten: The New York Knickerbocker. Or a pretty sizable sample! Mine might have been the last generation able to experience new installments of all these great works, while also experiencing the explosion of creativity happening in the world of comic books! It soon became a cherished part of my week to wait for my Dad to come home with the papers, and sit down to the Sunday funnies… (The earliest issues, in fact, must have helped teach me to read!) In later years, this terrific repast would occur sometime after coming home from Sunday School. It also pleased me to know that I was taking a part in what was a great American tradition! 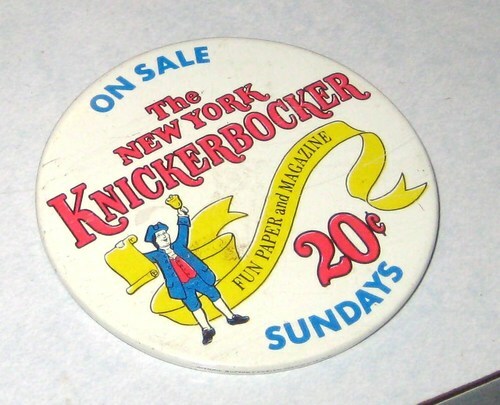 At some point in the early 1970s, The Knickerbocker went under. But within weeks, it was replaced by a new Sunday comics supplement, sold entirely on its own, entitled The New York Comics. Sadly that too only lasted a short while longer. 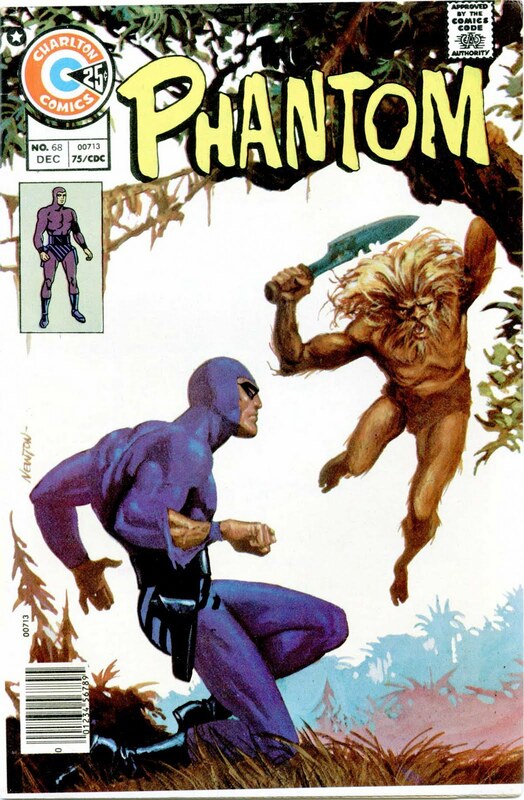 But The Phantom remained a constant in the different editions, and was a favorite of mine, as he fought crime and other menaces, often accompanied by his wolf, Devil, and his sturdy mount, Hero! Once in a while, Falk would tell a tale of one of the earlier Phantoms, and you’d suddenly be transported to yet another fantastic time. 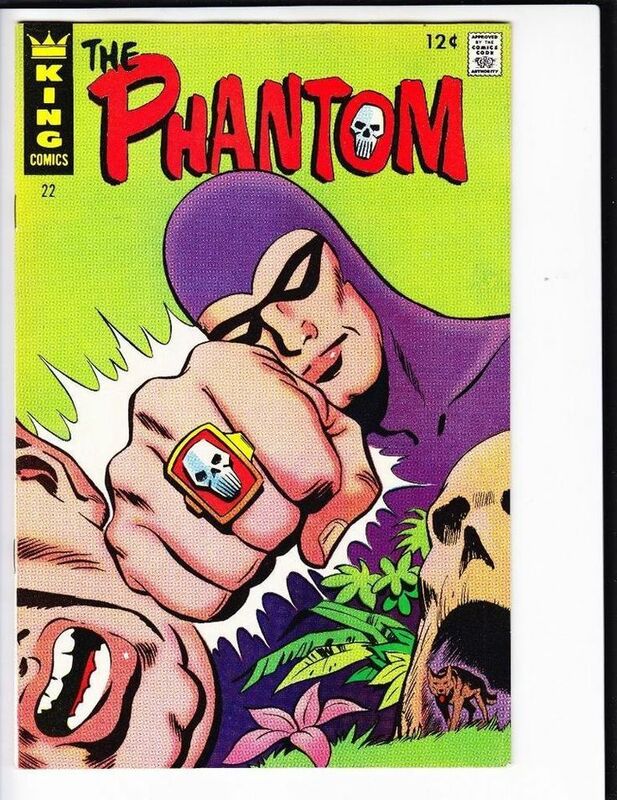 In the later 1970s, I also became enamored by the wonderful Phantom comic books from Charlton, illustrated by the supremely talented Don Newton. So, it was with great glee that I discovered that Falk was going to be a guest at one of Fred Greenberg’s Great Eastern Conventions’ first two-day affairs, (after years of running one day events), at Manhattan’s Penta Hotel (aka the Hotel Pennsylvania,and the Statler Hilton, just across from Penn Station). And a little bit of history may have been made that day, or at least an element of the Phantom’s chronicle discovered, that should be more widely noted. First up, was the beginning of a mystery, one which perplexed even Falk. 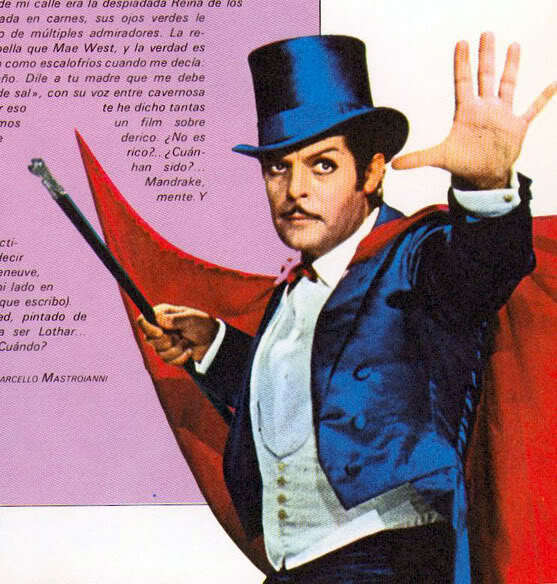 I was sitting with my friend, Douglas Aleksey, the late, long time comics fan who, during the question-and-answer session, asked Falk about a film clip he had once seen, in a montage-tribute to Marcello Mastroianni, where the legendary actor was dressed AS Mandrake! Falk was stunned, and was as curious about the appearance as Doug was! The answer to this conundrum came over a decade later, when I was watching 1987’s Intervista, Federico Fellini’s kind of fake documentary, about his making of another feature film! Suddenly, as Fellini’s in his office having a production meeting, Mastroianni comes floating up to the window, dressed as Mandrake (and standing on a rising platform)! In a film within a film (within a film! ), Mastroianni is making a commercial on the studio lot, starring as Falk’s legendary prestidigitator! Falk certainly knew Fellini. 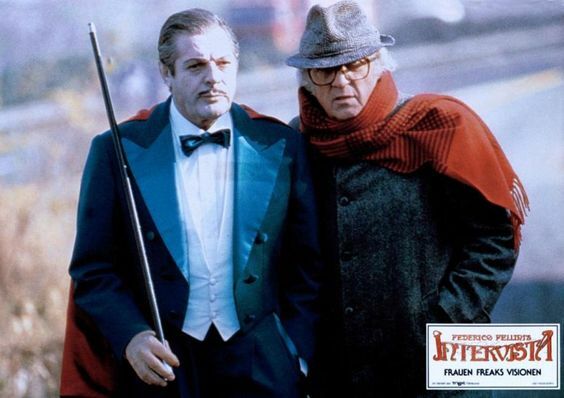 According to some sources, in 1971, producer Dino De Laurentiis flew Falk to Italy to meet with the director, hoping to foster a Mandrake movie. Fellini was a long time comics fan (who once, famously, visited the offices of Marvel Comics, in Manhattan). At various times, Fellini had apparently stated his desire to make a Flash Gordon film, based on Alex Raymond’s and Don Moore’s comic strip, or other comics related films. 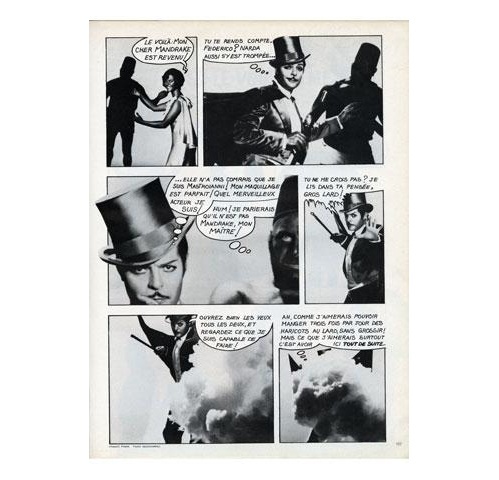 According to one source, Fellini was invited to help edit a special issue of French Vogue, when he decided to devise a fumetti, a photo comic, long popular in parts of Europe, starring his associates. That’s Cardinale in the white dress, and here, how she might have appeared in an actual Mandrake feature film! There was one more surprise at the question-and-answer session in New York. Falk had already mentioned that the Phantom’s home, Bangalla, could be seen, to some extent, as a mythical place, a combination of many jungles from around the globe. Falk smiled warmly. He made reference to the tribute hall in the Phantom’s cave, honoring past Phantoms through the ages, and their families. Quite logically, and subtly, Falk was suggesting that the modern Phantom we’ve all grown up with, could well be multi-cultural. 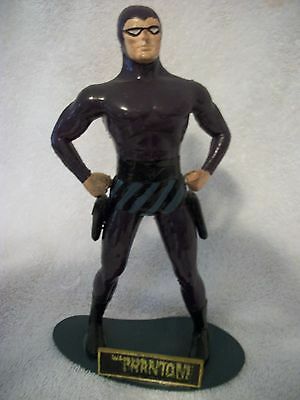 There was a surprising number of PHANTOM merchandising spinoffs in the 1960s, especially during the latter part of the decade’s super hero years. Perhaps the neatest element of the board game seen below was that it came with a facsimile of the Phantom’s skull ring!